Acharavi is a small rural town on the north-eastern coast of Corfu. It is blessed with a wide, three kilometre long sandy-shingly beach. Dotted along its length are traditional Greek tavernas, bars and small, family run hotels. Acharavi beach is set back from the main town which gives the beach area a totally relaxing holiday ambience. The busy shopping strip of Acharavi is made up of an incredible assortment of shops that lacks nothing and apart from its any town centre malls: jewellers, boutiques, upmarket souvenir shops, some of which sell authentic Greek and local antiques, as well as those offering more familiar souvenir knick-knacks, restaurants, bars, bakeries, a fish-monger and the ubiquitous cafenieon . There are also two large well-stocked supermarkets, favourites of locals and holiday-makers alike. Overall, because Acharavi is not only a Greek holiday resort per se but also a busy rural centre for the local population, tourists feel like welcome visitors and the people of Acharavi keep the age long tradition of Greek hospitality very much alive. Those who have travelled with Salco Holidays to Acharavi come again and again to experience a real holiday in a real destination. Acharavi is a lively small-scale town on Corfu. There are plenty of day-time and night-life activities here. On the beach there is a choice of water-sports. Twelve kilometres away eastwards, is the picturesque village and resort of Kassiopi and westwards the resort of Roda just four kilometres away. Both Kassiopi and Roda can be easily reached using the local bus service. There is a range of restaurants in Acharavi; these can be found long on the main shopping road but also on the beach. The beach tavernas are more traditional and really it is a memorable holiday experience to enjoy an evening meal at one of these; for families, the beach tavernas are ideal but there is something quite magical about eating at a beach side taverna where the fresh sea aroma diffuses through the warm summer air and the sound of the warm Ionian sea swills gently and rhythmically over the sand. 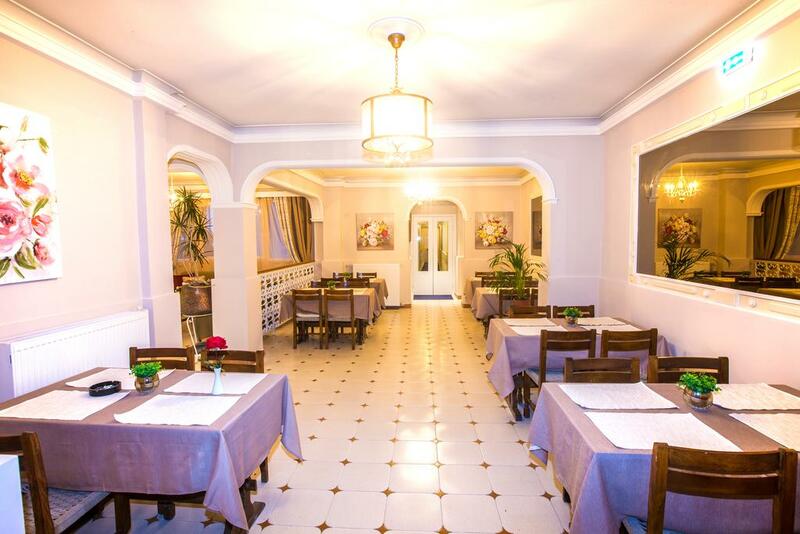 The land side tavernas and restaurants of Acharavi offer a more international feel but the rich and varied Greek cuisine is a proud feature of most restaurants. There is a plethora of bars – some stylish and relaxed, others partying the night away and still other just simply casual and easy. You can book your holiday car directly from the Salco Holidays website. Our prices are competitive and include a fully comprehensive insurance. The bars and opportunities for dancing and fun are everywhere in Acharavi with the plethora of pleasure domes open till the early hours for those who have the stamina. The full range of shops is available in Acharavi. All basic amenities suchas as supermarkets, bakers, pharmacies, a fish-monger, electrical goods shop, DIY shop. Old Perithia: This was once the administrative capital of the North of Corfu. However, it is now basically abandonded although there are about three tavernas that are open all day during the tourist season. It is an unusual experience visiting Old Perithia; the houses and surroundng buildings are all made of stone and the narrow streets had once also been laid with stone but now time has taken its told and nature is gradually taking over. Almiros beach: This is within walking distance of Acharavi; a beautiful stretch of unfrequented beach, there are some apartments and tavernas but these are sparsley scattered over the area and the land behind the beach is mainly rough and flat covered by grasses, gorse and aloe vera. Ayios Stephanos, Sinies: Just over half an hour's drive away from Acharavi is the pretty fishing village of Ayios Stephanos. It is an idyllic place wth its row of five or six water-side tavernas and bars. 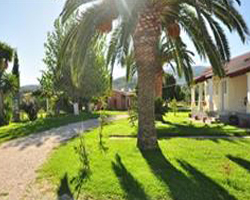 It nestles at the foot of olive covered slopes and holiday makers that stay here enjoy the tranqility and friendship of the village. Yachts moor in the tiny bay to while away a few pleasant hours. Paleocastritsa: There are sightseeing tours avalable from Acharavi but it is easily accessible by car and there are a number of villages and interesting sights on the way via the inland rout, turing off at Roda. These include the villages of Krini and Lakones but also the tiny fortification of Angelocastro perched on the highest sea cliffs overlooking the bay of Paleocastritsa. 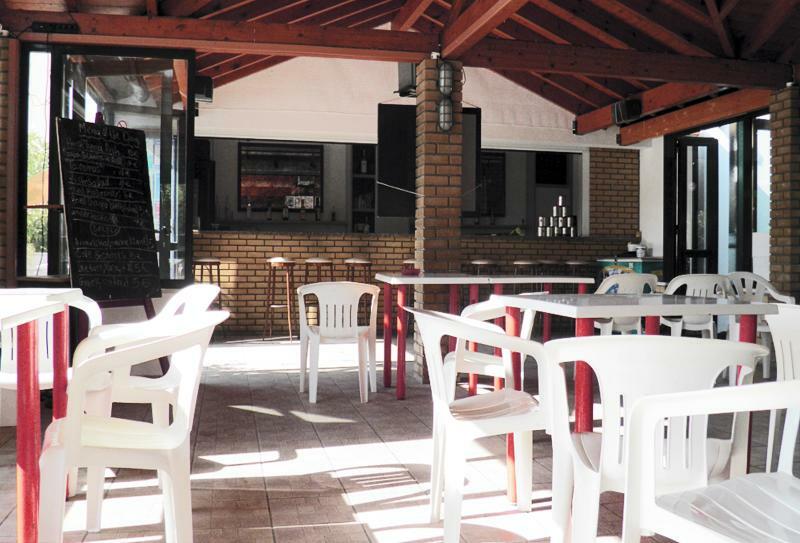 There is also a very pleasant taverna with spectacular views across the Adriatic. The Corifo Village benefits from an ideal location, only 350 meters from the beach and 150 meters from the centre of Acharavi and all its shops, restaurants and bars. Acharavi is a quiet beach resort and thus is perfectly suitable for families and couples.. 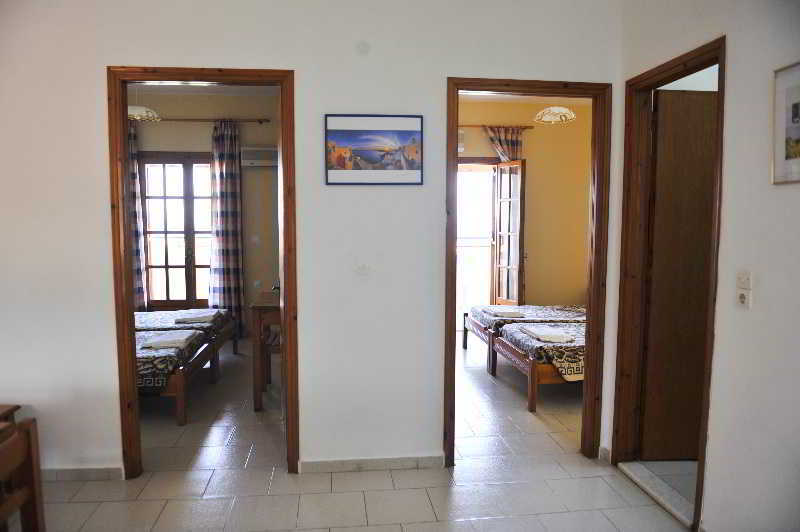 This charming apartment complex is located just 500 metres away from the beach in Acharavi. 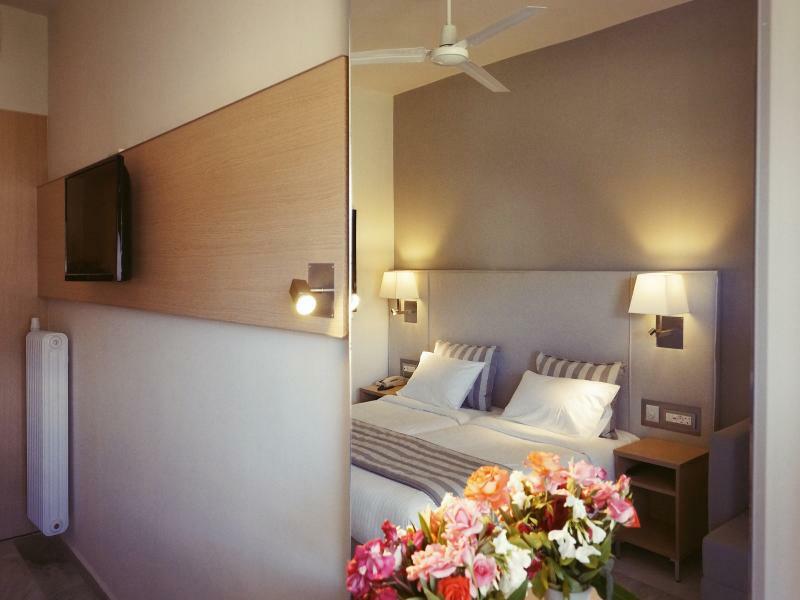 Lying just 200 metres from the vibrant centre of the town, guests can enjoy the best of both worlds. Guests will find themselves in close proximity to a number..
Joanna Studios provides facilities where guests can enjoy all day. 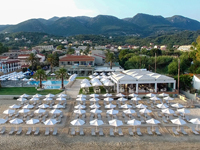 The hotel also offers a poolside bar in cooperation of Tzilios Studios where guests can enjoy a range of light refreshments and chilled beverages, plus there is also a TV lounge for.. In the centre of Acharavi, in the old village, Koskinas Apartments is one of the most traditional places you can find. 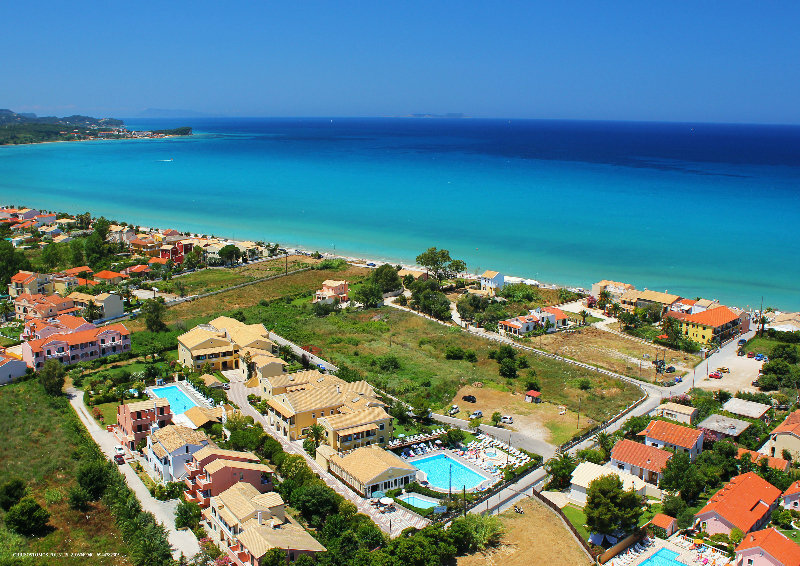 Only 100m away from the centre of Acharavi, near all the shops, super-markets, bars, restaurants, Koskinas Apartments offer a very cozy..
Acharavi Beach Hotel is a 3* hotel located in the beautiful island of Corfu ¿ Greece, in the village of Acharavi and next to a wonderful sandy beach. The hotel offers a variety of amenities such as swimming pool, bar, restaurant, water sports, tennis.. 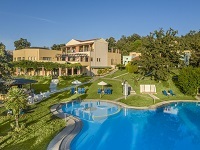 This delightful hotel is situated in the village of Acharavi, in the northern part of the Greek island of Corfu. Guests will find themselves immersed in the rich natural beauty for which the island is renowned. The magnificent beach of Acharavi lies nearby,..
Acharavi Garden is located 150 m away to the beach Acharavi, approximately 36 km to the airport (CFU), 500 m to the city/town centre, shopping area, restaurants/bars and 350 m to the bus stop. It offers facilities and amenities including the reception,.. This hotel enjoys a prime setting in Acharavi, just a short distance away from the delights of Acharavi Beach, and a mere 500 metres from the resort centre. Guests can enjoy ease of access to a host of shopping opportunities, dining options and entertainment.. This lovely apartment can be found in Ipsos. With a small number of only 4, this accommodation is very convenient for a quiet stay. MILEONA ROOMS underwent renovation in 2017. Situated in Ipsos on the north-east coast of Corfu island, at Mileona Rooms.. This comfortable hotel is situated in Gouvia. Those wishing to escape the hustle and bustle of daily routine will find peace and tranquillity at this property. Guests may take advantage of the Wi-Fi connection throughout. Additionally, the premises provide..